offering installation & decomissioning services for all exsisting plant. We also offer a world wide service for all plant listed below please ask for full details. MAKE :- AVK DEUTSCHLAND GmbH & Co. KG. and All of Control Panels & Heat Exchangers & 6 Coolers,etc. Already dismantled, many of the ancillaries are already packed in shipping containers. 3 units, 2 units were in production untill recently, 1 unit complete but in parts. excellent maintained by well known Oil Company. Gas engines Waukesha F3521G Natural gas fired. When the factory closed. Has been in dry storage from day one. Serious Interest only no agents or 3rd parties. They are overhauled sets and in good condition with control & related auxiliaries panels as well as exhaust gas boilers. We have available immediately 3 x Jenbacher 612’s. 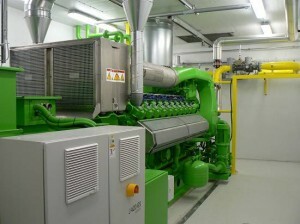 2 mw each, 2011, only 4000 hours each, complete plant with CHP.